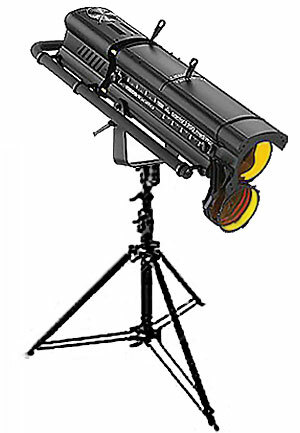 This 1200W followspot is designed for use with either a MSR or MSD source. It incorporates a double condenser zoom optical system, a large side handle to control pan and tilt movement, and a double microswitch for safe lamp replacement. 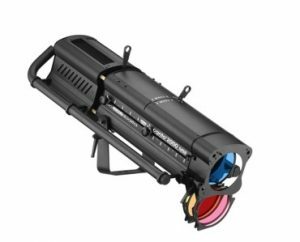 An extremely compact and powerful 2K discharge followspot, the Canto® 2000msr FF harnesses the power and flexibility of the Philips 2000msr FastFit lamps with LDR’s advanced optics and mechanics. The result is a new-concept, efficient, lightweight and extremely powerful followspot, ideal for all long-throw applications. 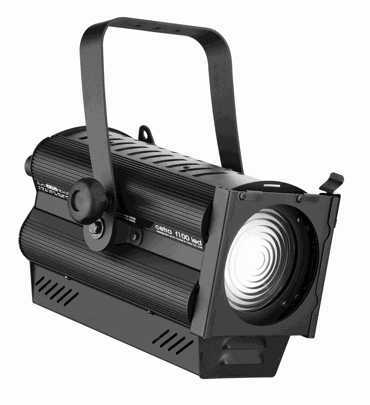 Canto® 2000msr FF features the patented FastFit rear load lamp base system, which enables easy lamp replacement in difficult stage conditions. The MSR filling of the lamp guarantees pure, white light, whereas the short arc provides high beam intensity for professional entertainment lighting. A high efficiency, powerful 200W led module featuring a PWM dimming power source harnessed in the high-specification optics of LDR followspots. 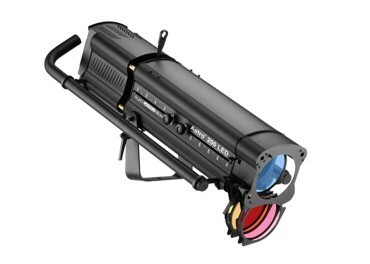 With a CRI rated >90, its excellent optical performance at any angle and beam-shaping and an outstanding light output, the new Astro 200 is the professionals’ choice for all those applications where power supply is limited and running costs need to be significantly reduced.